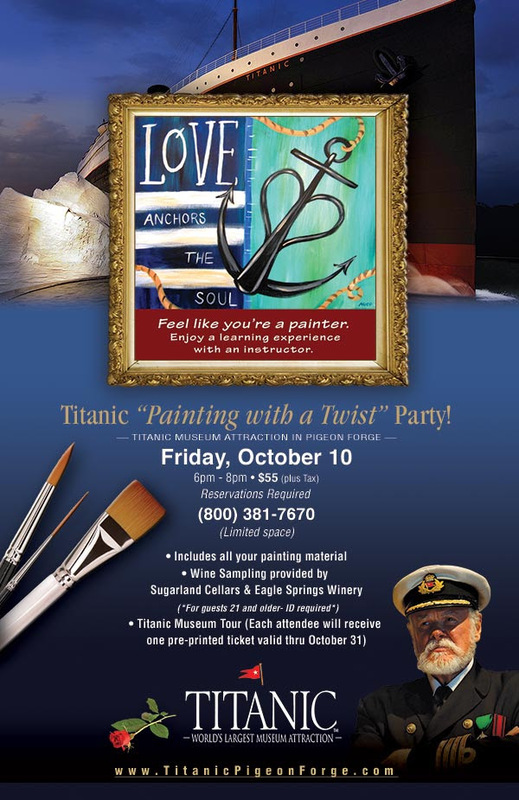 TitanicMuseum Attraction Pigeon Forge TN Painting with a Twist Party! We got to Gatlinburg every year but have never visited Titanic. Maybe this year.